The charger has smart LED indicators to show the charging status. 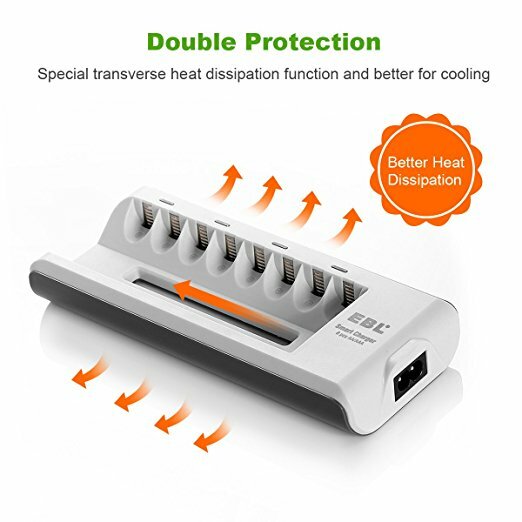 It features advanced over-heating detection to prevent over charge. It has protection agaist short circuit and reverse polarity. Negative delta V (- ∆V) cut-off function, automatically cut off when fully charged. 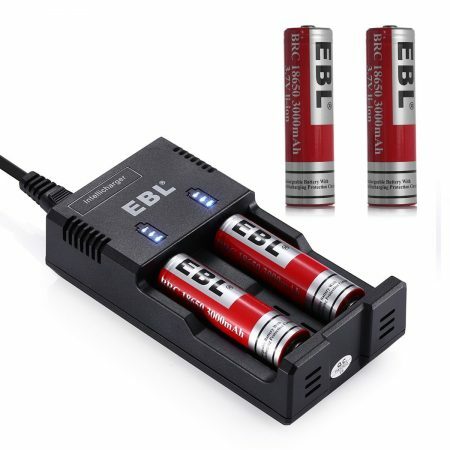 This fast battery charger features negative delta V (- ∆V) cut-off function. 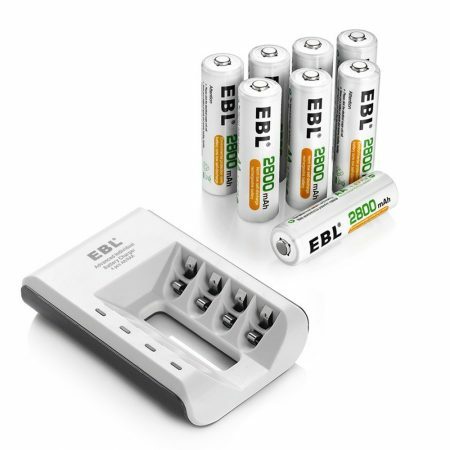 Able to charge 1 to 8 pcs AA/AAA batteries freely. 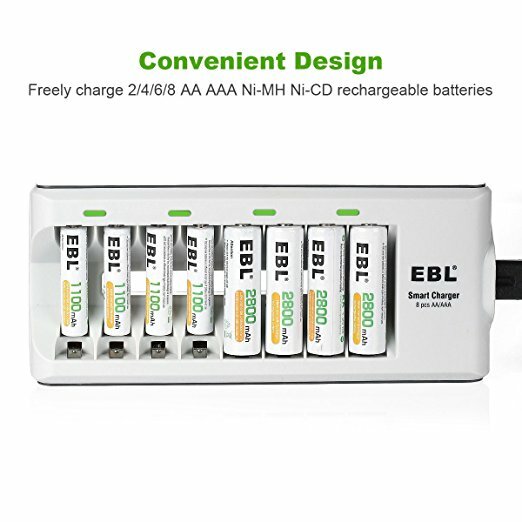 — Individual EBL universal charger can charge 1 to 8 AA AAA Ni-MH Ni-CD rechargeable batteries freely. — Smart LED indicating lights let you know the charging process. 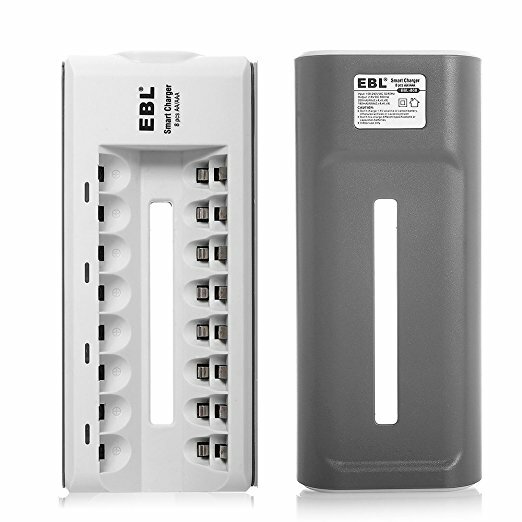 — Constant and stable current and voltage ensure long lifespan. 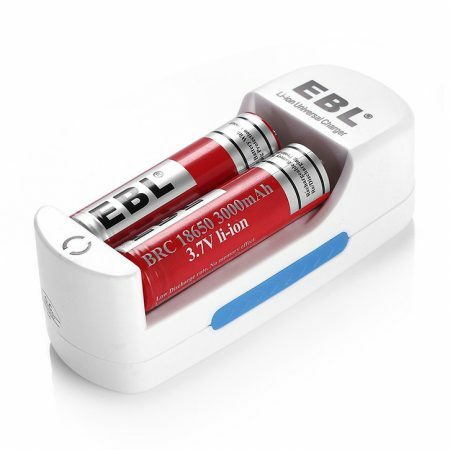 — Worldwide voltage for greater compatibility, ideal for travelling around. Upgraded battery longevity: up to 1200 rechargeable cycles. 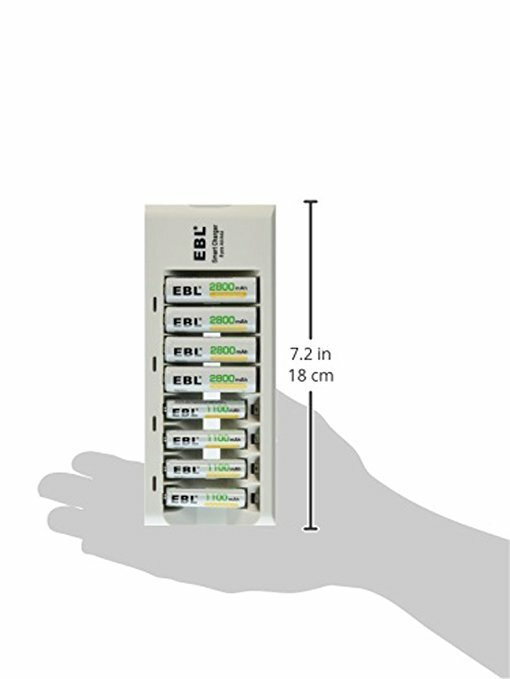 They can be used out of package with 15%~20% precharged capacity. Excellent charge/discharge performance: still remain good quality after 3-5 times’ charge/discharge. 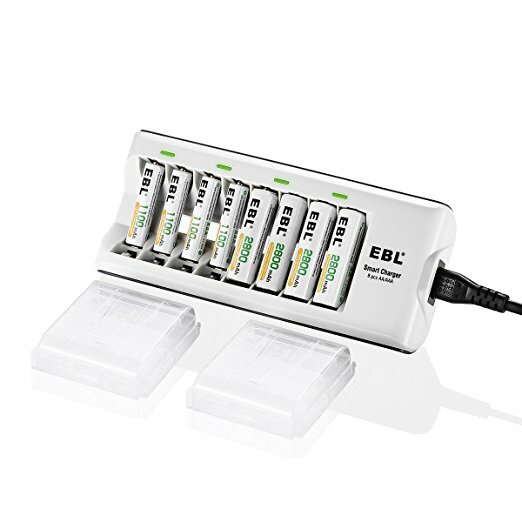 Battery capacity stays stable and long lasting even when the batteries are not in use for a long time. 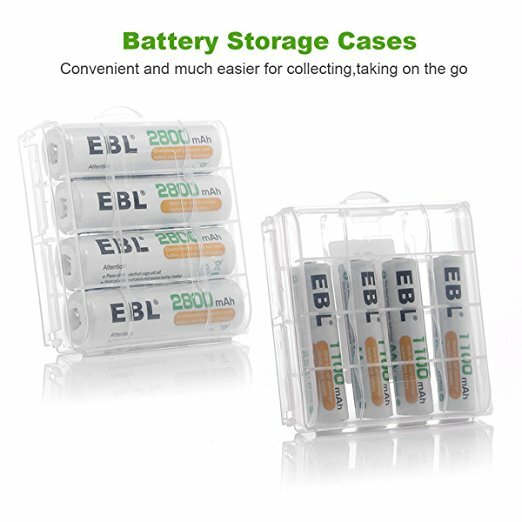 Longer battery life than commonly-seen Alkaline batteries. This rechargeable battery charger can charge AA and AAA Ni-MH Ni-Cd rechargeable batteries. ( Please note that it cannot charge alkaline or Lithium batteries).